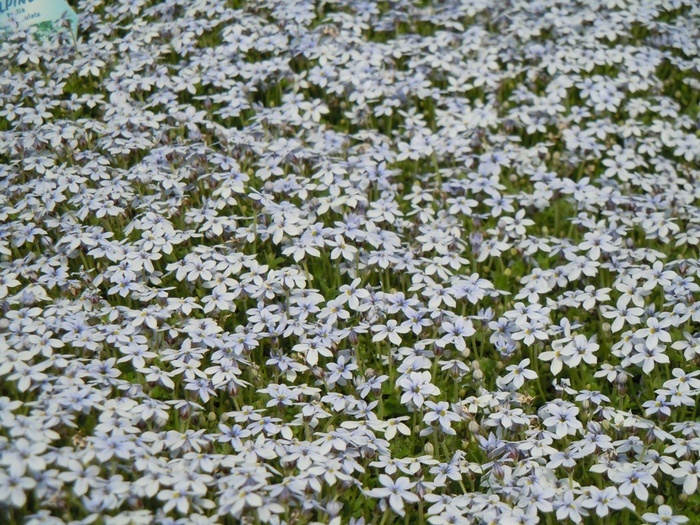 Dainty sky blue flowers on short stems above filmy mats of pale evergreen leaves, ht 2cm. 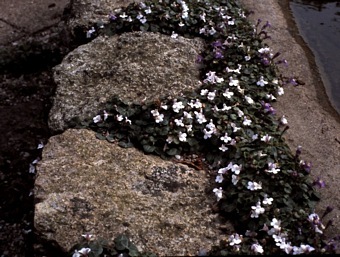 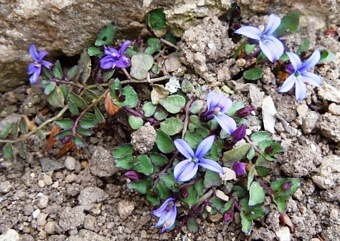 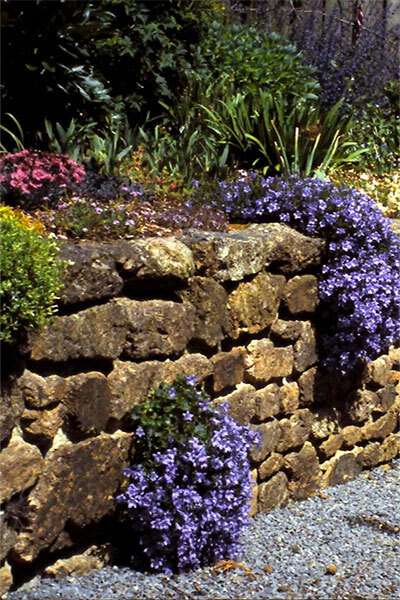 Ideal for growing between paving stones, rock crevices or as an edging plant. 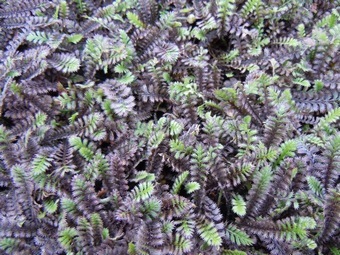 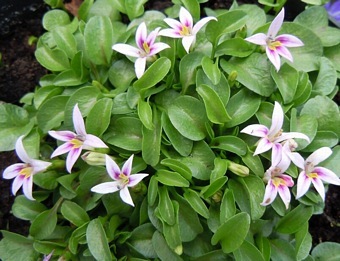 May also be grown as miniature ground cover in a not-too-dry position.